What's so great about BB Bunkers, Damai Central & Escobar? Home Bloggers Activities What’s so great about BB Bunkers, Damai Central & Escobar? What’s so great about BB Bunkers, Damai Central & Escobar? 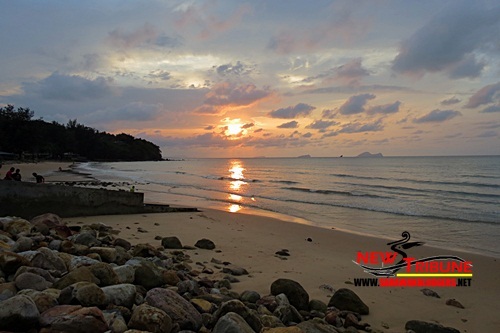 An hour drive from Kuching City to the nearest seaside in Kuching would bring you to the ever popular Damai bay. 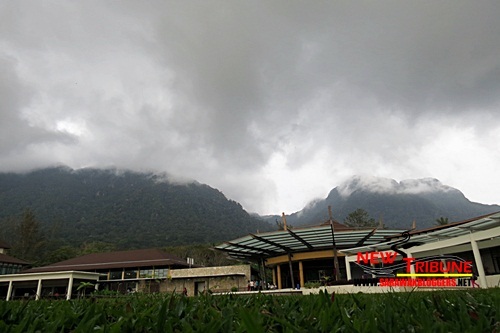 The place gained prominence after it hosted the world popular Rainforest World Music Festival, which isn’t exactly held at the beach, but rather at the award winning Sarawak Cultural Village. The popularity of the festival, coupled with the fact that tourist seem to flock this seaside has encouraged the government to further develop it, and hence the completion of Damai Central a few years ago. Damai Central has since been pulling in the crowd to Damai, and today, seems to be more equip and tourist friendly to say the least. 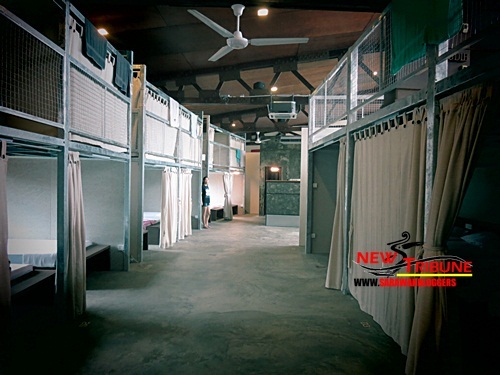 We had the chance to visit Damai Central a few weeks ago, and was given the opportunity to spend a night at the newly opened B&B named BB Bunkers. 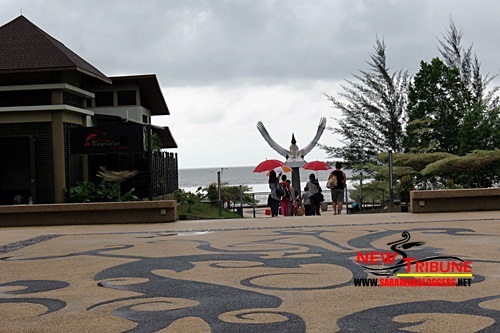 Damai Central’s walkway is fused with Dayak design, and the popular metal hornbill is the signature of this lovely place. Like all places we visit, first impression counts, and BB Bunkers looked a little bit ‘dry’ to say the least. 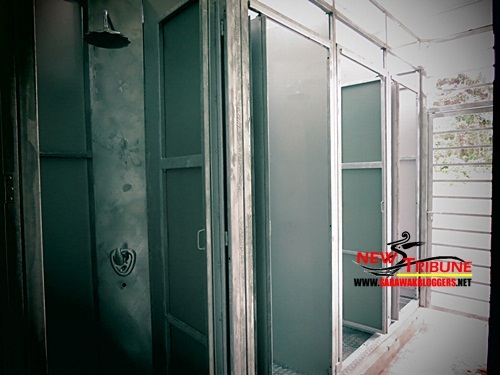 The metal bars which surrounded every bunk, or ‘pod’ as they call it, makes you feel like you’re in a ‘Prison Break’ episode, while the showers are plain and emotion-less. But that’s the only ‘less favourable’ things we had to say for the only ‘economy style’ accommodation we were enjoying, which comes at a mere RM50 per night. Despite the somber atmosphere, BB Bunkers gave what any ‘cost-cautious’ traveller would want, which is a good night sleep. The beds on each ‘pods’ were comfortable and symmetrically arranged to perfection, with security in and out the whole B&B given to each customer with waterproof RFID bracelets used as entry keys. On every ‘pod’, practically provided are power supply outlets, with a small A4 sized safe, useful for anyone to keep ‘the important stuff’, and charging you electronic devices. Internet access is also provided for free, with reading material made available for free at the registration counter. Bathing would also be an experience to enjoy as the water heaters in the showers worked well despite the ‘military looking’ bathing enclosures. In the future, the management of BB Bunkers hoped that they would be able to include more board games and audio visual facilities in their lounge, “just in case the guest decides to stay in, or if it rains” they said. The management also added that bookings during the RWMF need to be made early, and bookings are only confirmed once payment has been made. Indeed, it could be understood why BB Bunkers probably overlooked those wanting to stay indoors because there was so many outdoor activities to be done in Damai. Adrian making his point during the two days one night trip. 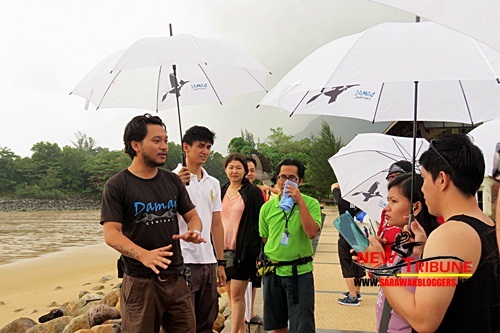 Adrian, who leads one of the outdoor activities in Damai Central explained to us that there was a vast number of activities ready for visitors, with bicycle tours, hiking expeditions and cooking classes being the most favored. 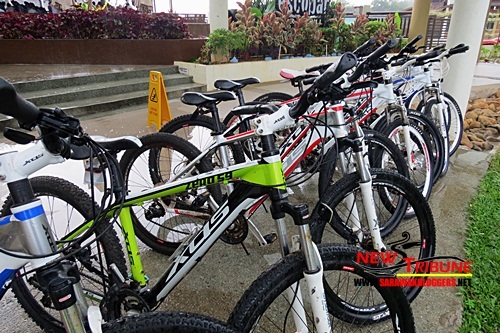 Kayaking and camping are also considered very popular at Damai Central, with the camping sites fully booked when the annual RWMF takes place. 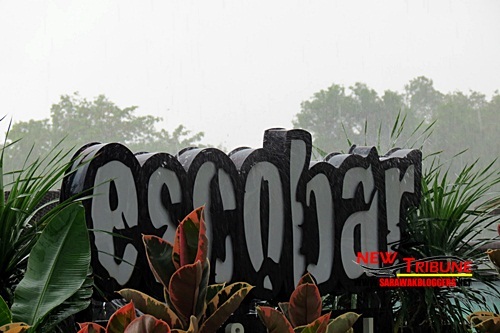 Escobar, the only beach bar in Kuching so far. At night, Escobar takes over the activities at Damai Central with a selection of dining and drinks made available. 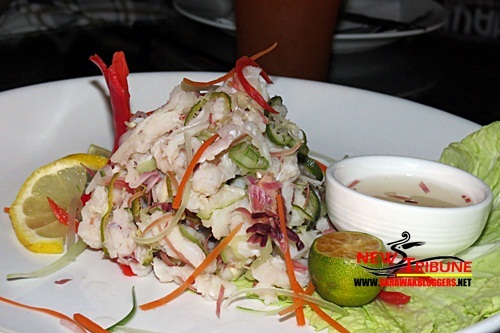 Fot this trip, we were served a few types of dishes, but the Fish Umai (a local dish) was the one worth mentioning. 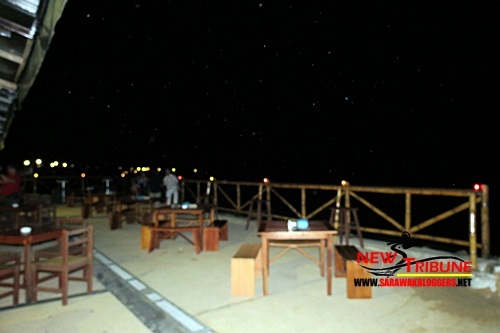 It was also revealed later that night that Escobar also caters for events such as weddings and birthday celebrations, with casual drinking sessions allowed until the bar closes at 12 midnight. View from Escobar in the evening. Very relaxing. For those wanting to grab a bite at Damai Central during the night, the ever open 7Eleven is located strategically beside BB Bunkers, while numerous Halal stalls serve you a variety of food and drinks during the day. A night out at Escobar. 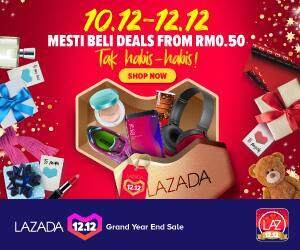 According to Adrian, more activities are planned for Damai Central in the future, with one, the ‘flea market’ already gaining momentum. With that notion, we can only expect Damai Central to progress even further in the future as it slowly transforms itself into a popular tourist destination in Sarawak.